TSYS (formerly Cayan) is a merchant services provider and payment processing platform. Its features include real-time payment processing, invoicing, inventory management, e-commerce integration, and more. In this article, we cover user reviews and pricing. Ready to get started with TSYS? Visit their website. 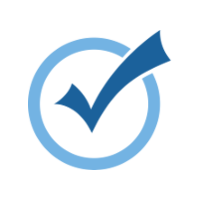 Users who gave TSYS a positive review said that the software is easy to use both for them and their customers. Some of them also commended certain features such as quick fund transaction processing and detailed monthly statements. Users who gave TSYS a negative review complained about the inefficiency of their customer support team. Some users also had issues with refunds and unnecessary charges. TSYS doesn’t publish its pricing plans online. However, according to a third-party site, pricing ranges from $9.95-$49.95+/month, depending on the volume of processed monthly transactions. According to the same site, there’s also a $250 early termination fee. The final cost will also vary depending on debit and credit card transaction rates. Ready to get started with TSYS? Visit their website. 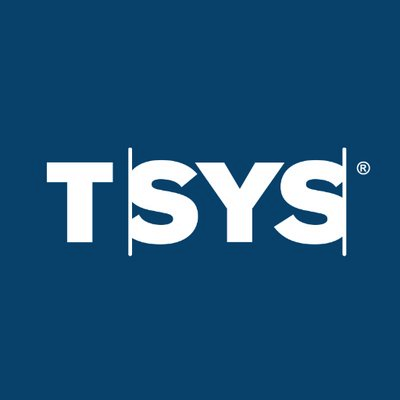 What types of business can use TSYS? TSYS accepts most retail, professional, trade show, mail order, telephone order, internet-based, and home-based businesses. How long does it take before the user receives their transaction funds? 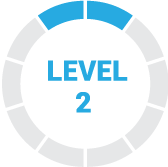 It typically takes two days for transaction proceeds to reflect in the user’s bank account. For high-risk businesses, it may take longer. Not sure if TSYS is the right fit for you? Read our reviews of all top merchant services providers or check out one of these three TSYS alternatives. As with any technology, nothing is perfect. And this is normal, You still have to deal with the lack of cell phone coverage and those problems. However, that is usually the exception, not the rule. Sometimes, when disconnected, my employees have problems with troubleshooting. Is there a problem solving card that I can print for them ?, I would have liked to know before seeing this program installed. Spontaneous updates on transactions. Well integrated with the POS system. Easy to use for employees when necessary, little needed for user training. The numerous portals with limited descriptions make it difficult to know which one to use at times, especially when you need to quickly verify the status of a transaction with the pressure of an annoying customer. When it is integrated with your POS system like mine, it is very easy to operate. The reports are very well organized, which makes accounting much easier. The customer service is perfect. Very professional and has always answered any questions. This excellent app, houses a fantastic graphic section, since its design as such is very dynamic, daring and modern, it also has a wide range of very reliable tools for the client. However, this App does not have a very good performance, since it requires a lot of the device where it is installed, it also consumes a lot of memory, so it requires a team of expectations and resources between medium and high. We think it is a regular result what we have observed on the platform so far, we are interested in following your progress through future updates, even if you have some notorious errors, it is not something that can not be corrected. However, it lacks aesthetics in its interface, is not modern and is somewhat difficult to use for an average consumer, its range of tools is very useful, however, it has very useless functions and tools. We think it is a very incredible App, we are delighted with the performance it has, as well as the fact that it does not consume much space in the installed device. However, it needs new visual updates and the removal of many obsolete tools. It is very easy to use and integrates with the sites that are needed. as the integration with the providers and the integration of smartetailing as well. I love that customer service is fast and very useful when I need help. I would like the system to be faster and not deteriorate during the key hours. I would like the monthly services not to be applied during the months in which the commercial service account is suspended. Our customers are happy with the software and we also like that the customer can insert their card at any time and the detailed list of products that includes prices and discounts.